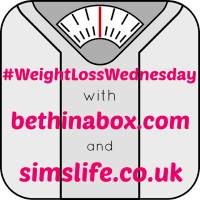 Welcome to Weight Loss Wednesday Linky Week 50! Wow – only 2 more weeks to go and then we will be waving a huge Adios to 2015! A little bit lax this week due to it being a crazy, busy time of late, it is actually Thursday, though I’m sure noone will mind! Well, I hit my weight loss target, I don’t know how and I am not asking questions, but I did! A recorded 4 stone loss this year… and now I can have a drink to celebrate! It is odd how everything changes, not only your eating habits or your wardrobe, but the way people see you – the way you see yourself and more importantly, your bra size! As soon as I tried the correct sized bra on, everything changed. 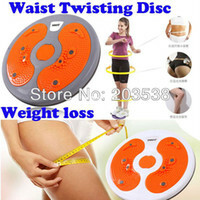 My top half shape, my posture, how I held myself and my confidence. It did help that the Triumph Lingerie Autumn/Winter 2015 collection is absolutely stunning! However it was almost instantaneous that it appeared more weight dropped off, simply from how I was carrying myself. Ladies, get those melons measured because the likelihood is that you are wearing the incorrect size! It is much easier to #FindTheOne in Triumph than it is to find the one on Tinder… take my word on that! My weight loss year is done, now comes the hard part with maintaining however over the course of this year my mindset about eating has changed and hopefully this journey will be a little easier. I would still like to lose a further stone, because I always have to have a target in mind. How will you continue on your journey over Christmas? Huge congrats to you! Well done on your amazing weight loss! Try to enjoy the festive season now! I think I definitely need a bra fitting, I’m sure my size will have changed again now, hopefully I can get one soon!